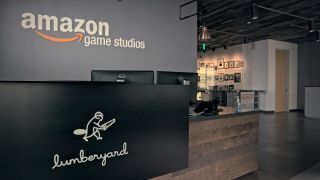 While most of the tech world has its eyes focused on CES 2019, a new report released today says Amazon could be working on a new game streaming service that will deliver games digitally while running them on cloud servers. So why the skepticism? The sources that spoke to The Information say that while negotiations are underway, no games or even a firm release date could be confirmed making it hard to corroborate the information with the developers themselves. Should the service pan out, however, Amazon would almost certainly include it on Amazon Fire TV Edition screens and Amazon Fire TV devices, plus tablets and smartphones. No mention was made about a PC version of the service, unfortunately, but it sounds like it's still heavily under development. It’s hard to know outright what Amazon is doing in the games space. On one hand it just cancelled its first project Breakaway back in April of last year, but on the other a move into the streaming side makes sense – the company certainly has the server capabilities and Amazon might want to stay neck-and-neck with the other big tech companies working on streaming. While Amazon has yet to say anything official on the matter, The Verge has noticed a number of postings that corroborate the rumor – including a position for a Cross Platform Game Engineer and two listings that specifically mention cloud games – but we’ll have to wait to hear from Amazon before anything’s official.